Fab Lab Connect is a global technology innovation platform for social change and entrepreneurship. A bridge between innovators and sponsors. Edutopia’s flagship series highlights practices and case studies from K-12 schools and districts that are improving the way students learn. Below, dive into a real-world example of STEAM in practice. See how educators at Charles R. Drew Charter School in Atlanta, Georgia, integrate PBL and STEAM to empower third grade students to take ownership of their education as they prepare for the next Snowpocalypse. Key Knowledge, Understanding, and Success Skills – The project is focused on student learning goals, including standards-based content and skills such as critical thinking/problem solving, collaboration, and self-management. If you would like to edit this document to add or update anything, please contact [email protected] and you will be granted access to revise. Why we have been giving startups the wrong advice for 30 years! Here’s the step-by-step process we suggest our students use in our Lean LaunchPad classes. Size the market opportunity. Use Google Trends, Google Insights, and Facebook ads to evaluate the market growth potential. Use Crunchbase to look at competitors. Calculate Total Available Market, and customer value. If you can’t easily explain why you exist, none of the subsequent steps matter. A good format is “We help X do Y by doing Z”. Once you have a statement in that format, find a few other people (doesn’t matter if they’re your target market) and ask them if it makes sense. If not, give them a longer explanation and ask them to summarize that back to you. Other people are often better than you at crafting an understandable value proposition. For surveys and pre-order forms, Wufoo and Google Forms can easily be embedded within your site with minimal coding. For B2B products, Twitter, Quora, and industry mailing lists are a good place to find target customers. Don’t spam these areas, but if you’re already an active participant you can sprinkle in some references to your site or you can ask a contact who is already an active participant to do outreach for you. Specific questions, such as “Is there anything preventing you from signing up?” or “What else would you need to know to consider this solution?” tend to yield richer customer feedback than generic feedback requests. If possible, collect email addresses so that you have a way to contact individuals for more in-depth conversations. Remember that “High Fidelity” still does not mean “complete product”. You need to look professional and credible, while building the smallest possible product in order to continue to validate. Hearing “This is great, but when are you going to add X?” is your goal! Put a “pre-order” form in place (collecting billing information) even before you’re ready to collect money or have a full product. When you’re ready to start charging – which is probably earlier than you think – find a billing provider such as Recurly, Chargify, or PayPal to collect fees and subscriptions. Emphasis should be on the discovery done for that weeks assigned canvas component (channel, customer, revenue model) but include other things you learned about the business model. Go through the legal steps of setting up a company. U.S. version here. Crowdsourcing is a testament to the power of collaboration. Hundreds and even thousands of individual efforts combine to create something world-changing. If you’re jumping into the chaotic world of crowdsourcing to fund your startup or passion project, you’ve got a lot of hectic days and coffee-fueled nights ahead. 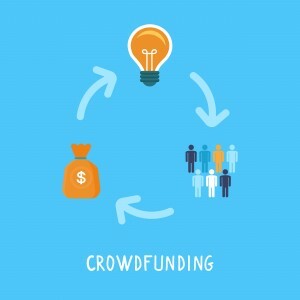 Running a successful campaign, standing out in a sea of creative projects, and coordinating all the moving pieces takes a lot of hard work.Use these tools and resources to stay on top of it all and start writing your own crowdfunding success story.